For the first time, robotics are at the centre of a Dutch trade mission. This week, an impressive delegation of businesses, academics and entrepreneurs gather at the ‘Holland Robotics Pavilion’ of the DLD Festival in Tel Aviv, with RoboValley’s Arie van den Ende as its delegation leader. 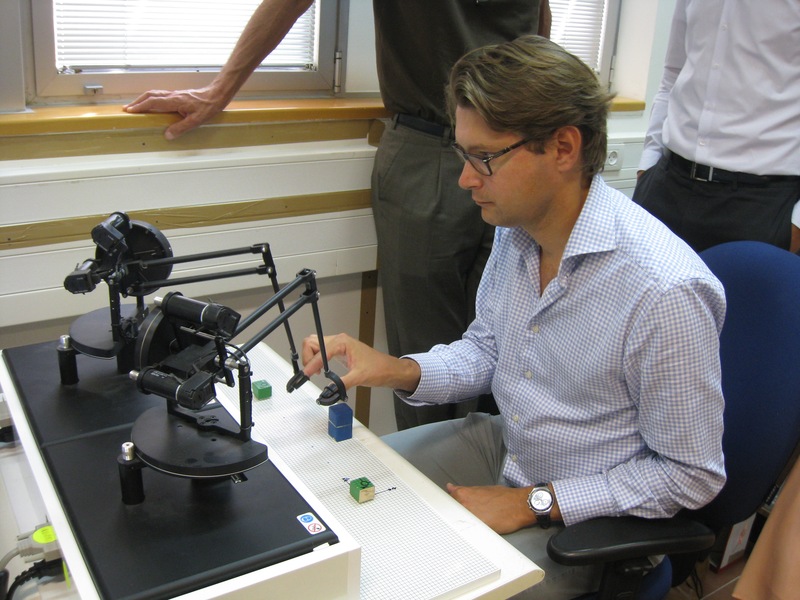 Dutch and Israeli robotic minds connect well, say both Van den Ende and his Israeli counterpart Zvi Shiller, chairman of the Israeli Robotics Association. The visit is a result of efforts from both the Dutch foreign investment agency NFIA and the Dutch embassy in Israel, explains Van den Ende. 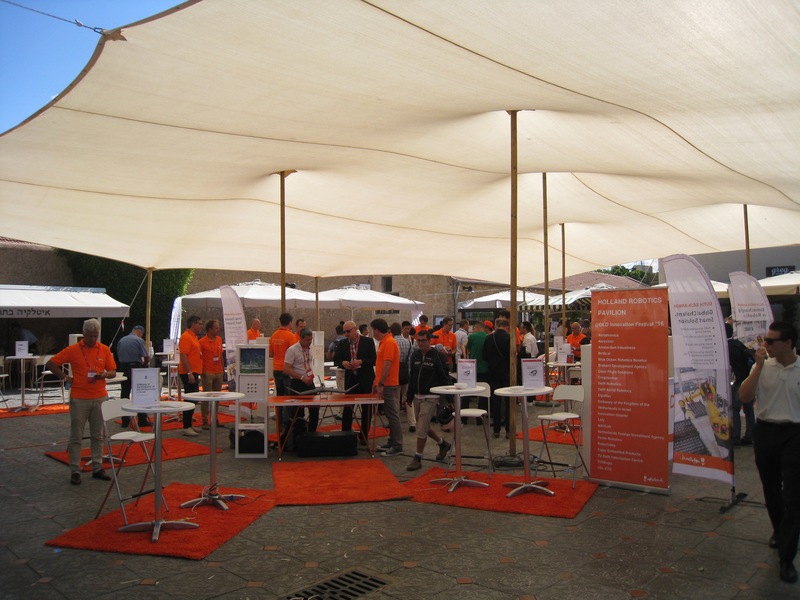 “The NFIA sent a report on Dutch robotics to diplomatic posts all around the world, and embassy in Israel reacted very enthusiastically.” They set up a robotics trade mission, and organised an impressive programme for the participating companies. Both countries can benefit from this cooperation, says Van den Ende. “In particular, the Dutch can learn from the Israeli start-up culture, which is an example for the rest of the world.” He hopes the visit leads to a close collaboration with the Israeli Robotics Association on education and tech transfer and that it will result in an Israeli Pavilion at RoboBusiness 2017, which will be held in Delft. "We will bring the Israeli researchers into contact with the 400 robotics scientists in the Netherlands"
Zvi Shiller is enthusiastic as well. He is ‘very impressed’ with the quality of Dutch robotics research and the commitment of the Dutch robotics delegation to promote itself at home and abroad. “This energy resonates with the innovative entrepreneurial spirit that is typical of the Israeli robotics sector”, Shiller tells us at the Holland Robotics Pavilion. “It is remarkable that two small countries are driving the forefront of the modern technological revolution.” Shiller also expects that the trade mission will lead to all kinds of cooperation. “I look forward to actually doing things together.” The conclusion is clear: Israel and the Netherlands are gamechanging in robotics. Participating companies and organisations: Aerialtronics, Aerovinci, Amsterdam inbusiness, Birds.ai, Blue Ocean Robotics Benelux, Brabant Development Agency, Clear Flight Solutions, Cropzoomer, Delft Robotics, Delft Aerial Robotics, ElpaNav, InnovationQuarter, Lely, MAVLab, Penta Robotics, Topic Embedded Products, TU Delft Valorisation Centre, TUSExpo and VDL ETG. Previous "Delivering on the promise of robotics"